The Education Committee heard testimony Feb. 13 on a bill that would require Nebraska schools to provide special reading instruction for students with dyslexia beginning this fall. LB1052, introduced by Lincoln Sen. Patty Pansing Brooks, would require schools to provide students who are identified as exhibiting characteristics of dyslexia with evidence-based literacy instruction using a multisensory approach. A technical assistance document created and distributed by the state Department of Education would provide guidance on that instruction. The document also would provide information on dyslexia’s characteristics, its associated conditions and indicators and the screening, evaluation, instruction and intervention for dyslexia. It would be distributed to all school districts, educational service units and teacher education programs in the state to promote awareness of dyslexia. Pansing Brooks said she learned that the department already had written such a document while visiting schools around the state with Elkhorn Sen. Lou Ann Linehan as part of a 2017 interim study to examine reading, literacy and dyslexia. However, most teachers and administrators did not even know that the document existed, she said. During their tour, Pansing Brooks said, they saw many teachers using visual, auditory and tactile methods to teach reading, but teachers consistently reported that they were not properly trained in how to recognize dyslexia and provide evidence-based interventions. Many held misconceptions about the condition or were reluctant even to talk about it. LB1052 would prohibit school districts from requiring a student who exhibits characteristics of dyslexia to obtain a medical diagnosis to receive interventions. The bill also would require that each teacher education program approved by the State Board of Education include dyslexia instruction in its initial program course requirements beginning in July 2019. Maddie Fennell, executive director of the Nebraska State Education Association, testified in support of the bill. Fennell said she and her colleagues did not know about the department’s technical assistance document for dyslexia until Pansing Brooks brought it to their attention. NSEA supports mandating dyslexia training in teacher education, Fennell added. David Holtzclaw of Omaha, who said he was not diagnosed with dyslexia until his freshman year of college, also testified in support of the bill. His son Christopher also is dyslexic, but Holtzclaw said Christopher’s teachers did not know how to identify or address his disability. He said he supports LB1052 because it would provide teachers with the training they need to recognize and address dyslexia. Also testifying in support was Ellen Stokebrand, director of special education for ESU 4 in Auburn. An adjunct faculty member in Peru State College’s teacher education program, Stokebrand said the bill would prioritize professional development in reading instruction as well as interventions for reading disabilities, including dyslexia. 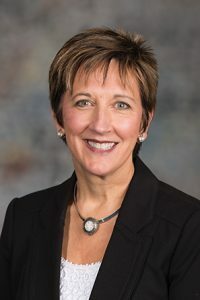 “This focus on the development of skills of teachers—as well as those preservice teachers who are coming into our profession—is something that we’re very excited about supporting across the state,” she said. No one testified in opposition to the bill, and the committee took no immediate action on it.